Email us at info@panoramas.com or visit our contact form to send us a message. Our panoramas begin as a high definition photo that is printed with UV resistant ink on heavy art stock. The panoramas are available unframed or in 3 frame styles. Before framing, we mount it and secure the panoramic print to a backer board to prevent waviness and warping due to heat and humidity. 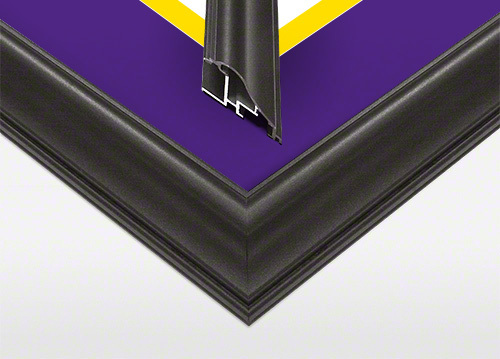 If you choose a select or deluxe frame with matting, the mats used are pH neutral to protect against degradation of the photo and the colors used match the team or school style guides. A framed Blakeway Panorama is BIG and BEAUTIFUL. If you compare our prices with those of a professional frame shop, you'll find we are very competitive and often times lower as we buy our frame materials in bulk and pass that savings on to you. The print is mounted and secured to a display board to eliminate waviness and warping of the print inside the frame. The frame moulding is quality. Our Standard and Deluxe Frames are made of durable aluminum moulding with a powder coated application that creates a hard finish that is tougher than conventional paint. Our Select Frames are a wrapped wood composite (not painted, which can scratch) that is more stable than solid wood, and stands up better to changes in heat and humidity. The mat boards are pH neutral and lignin free to protect against degradation of the artwork. Only tempered glass is used for durability and safety - no acrylic or plexiglass (which can scratch easily) or standard glass (which can leave a sharp, jagged edge if broken). 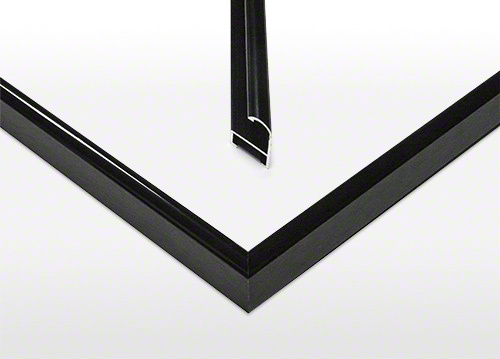 All frames come equipped with picture wire or sawtooth hangers, so they are ready to hang directly from the box. Instant beautification for your wall. All sports panoramas are officially licensed, which means we've passed strict requirements for quality and ethics. We pay royalties that support scholarships and initiatives at the universities and professional leagues. Unethical people may copy us (illegal & inferior), sell for less (unscrupulous), and skip paying royalties that would otherwise support your alma mater or team. We follow official team style guides, which means our logos and mat colors match those specified by the team or university. The panorama will match your jersey and fan cave decor! All of our production has been audited and certified to pass fair labor standards (no sweatshops for us, although when we had a power outage one Summer it got a little steamy without air conditioning that day). Most importantly, if you order a framed panorama from us, you save time. You don't need to deliver and pick up from a frame shop, and you don't need to wait days or weeks for it to be framed. We ship next day so your panorama arrives completely framed and ready to hang. That's almost instant gratification! How can I get my panoramic print framed? Fill out the information on the back of the form included with your unframed panorama and mail it to us. We are normally able to frame and ship your panorama within 1-2 days of receipt. How soon will I receive my newly framed print? We are normally able to frame and ship your framed panorama back to you within 1-2 days of receipt. Why can't you ship just the frame? If you just slid the panorama in a frame, the heat and humidity could cause the print to wave or curl and not lay flat. Common glue or tape can discolor the photo, and you wouldn't want that. We have the expertise and equipment to mount the panorama to a backer board so that it stays smooth and fabulous. 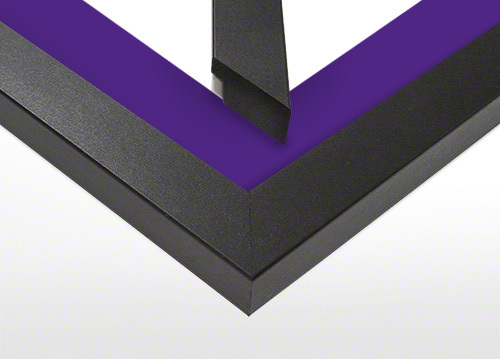 If you ordered the Select or Deluxe Frame, we carefully center the panorama within the mat opening and secure the mat so it won't slip. Finally, we frame it and add picture wire or sawtooth hangers so it's ready to hang when you receive it. Why do I need to send the unframed panorama back? We need something to put in the frame. An empty frame is not as interesting as one filled with a Blakeway Panoramas print. What is the cost to upgrade to a framed panorama? May be subject to sales tax based on your location. If outside the continental U.S., please contact us for the total with additional shipping fees. Orders can be placed online via our website. Purchases can also be completed by calling us toll free at 1-800-334-7266 or 952-941-9797, Monday - Friday, 8:00 AM - 5:00 PM CST. We accept all major credit cards, including Visa, Mastercard, American Express, and Discover. We also accept PayPal, Apple Pay, and Amazon Pay. To cancel your order that has not yet shipped, please contact us toll free at 1-800-334-7266 or 952-941-9797. We are unable to cancel orders that have already been shipped. In this case, please contact us for other options, like processing a return. Browsing our online store is the easiest way to see what products are available. The navigation menu at the top of every page lists our product categories, and is further defined by location, team, or venue name. You may also use the search function to find specific panoramic views by name, sport, SKU, description, location, and more. If you have difficulty finding products you want to purchase, please contact us toll free at 1-800-334-7266 or 952-941-9797. Our site only permits the use of one coupon code per order. Join our email club and you'll be emailed a welcome coupon for 10% off as well as promotional notifications and new panorama announcements for your favorite team or skyline. To join, simply click here. The Welcome to the Blakeway Email Club coupon code is limited to one use per customer. Some exceptions may apply (for example, if trying to apply multiple discounts to your cart). Additional promotional offers for holiday or other promotions will be sent to the email you provided. Love our products or looking for great gifts? With your purchase of 4 or more products, a 10% discount will automatically be applied to your cart total. Some exceptions may apply (for example, if trying to apply multiple discounts to your cart). Unless stated on the product page, we normally ship same day for orders received by 2PM CST. Our oversized canvas, metal and acrylic panoramas are made to order and 3 business days are required for production prior to shipping. When your order has been packed and processed for shipment, you will receive a confirmation email with your tracking number. Shipping fees vary based on the order quantity, frame style(s) chosen, shipping destination, and speed of delivery needed. Our website provides a shipping cost estimate prior to placing your order. We currently do not allow international shipping through our website. Please call us at 1-952-941-9797 or email info@panoramas.com to discuss international shipping options. We will ship unframed panoramas of skylines, National Parks, and world icons to most countries internationally. NHL prints can also be shipped to Canada. Our licensing contracts restrict the sales of NFL, NASCAR, and collegiate products to within the United States only. Shipping rates as well as taxes and duties for framed panoramas are expensive, so we recommend you purchase an unframed print and have it framed locally. If for any reason you are not completely satisfied with your purchase, you may return it for a free replacement or a full refund for the price of the product within 30 days of purchase. We are unable to refund shipping charges. To start the return process, please call us toll free at 1-800-334-7266 or 952-941-9797. All oversized canvas, acrylic and metal panoramas are made-to-order and are NOT RETURNABLE unless defective or damaged in shipping. All Blakeway Panoramic images are copyrighted. © Blakeway Worldwide Panoramas, Inc., Minneapolis, MN U.S.A. Use and distribution of all or any part of an image is strictly prohibited. Written permission to use our images must be obtained. Trademark and copyright infringement is a serious issue and we will protect our brand and images against unauthorized dealers and those who violated our copyrights and trademarks. To obtain written permission, contact chris@panoramas.com or via the contact details below. Please include as many details as possible about the project. The fee is based on the use, so be as descriptive as possible. Can I get a custom print? We can print our images at almost any size. Please allow ample lead time, as licensed images of NFL, NHL, NASCAR, collegiate, etc. are more complicated as they require permission from their governing agencies. Our images are produced at a 4:1 ratio, so the proportions need to remain 4:1 unless you are willing to crop some of the image from the left and/or right. For example, if you wanted a print 4 feet wide, it would therefore be 1 foot high. This refers to the image size only, and doesn't include the white border or text that our published prints have. In other words, custom prints can be printed with the image all the way to the edge of the paper. What is the cost to get a custom print? The cost varies on a case-by-case basis depending on the size, format, and material used. We normally print thousands of our published prints at one time, making it much more efficient and driving down costs. Our use of large format panoramic equipment provides exceptional quality enlargements. Galleries often refer to these prints as a giclee ("zhee-klay"). Translated from French, giclee means "squirt", as in inkjet print. The cost to do this is considerably more expensive due to the labor and materials involved in setting up a single print. If you want a custom print much larger than our standard product, you may need to get it custom framed from a local frame shop, which can significantly add additional costs.